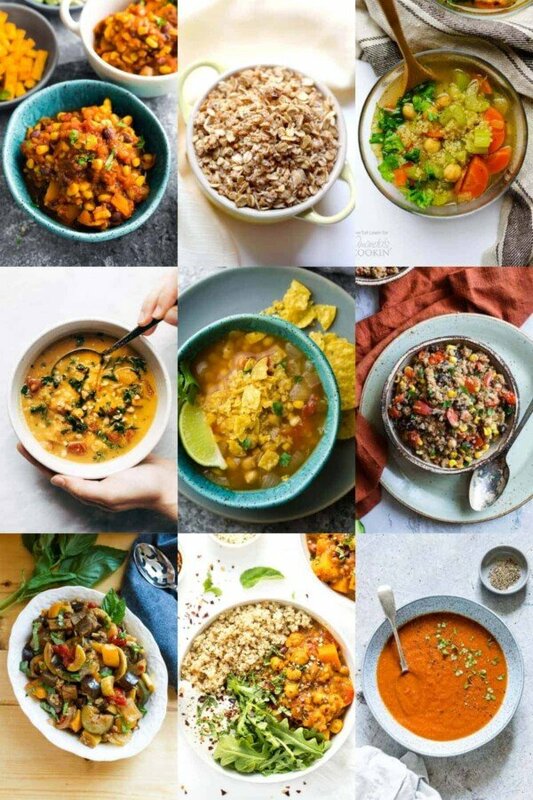 Sharing 36 vegan crockpot recipes that would work perfectly for meal prep! The slow cooker makes meal prep so efficient. I’ve found that searching for vegan crockpot recipes can be a bit disappointing sometimes…there’s just a LOT of meat and cheese-filled crockpot recipes out there. 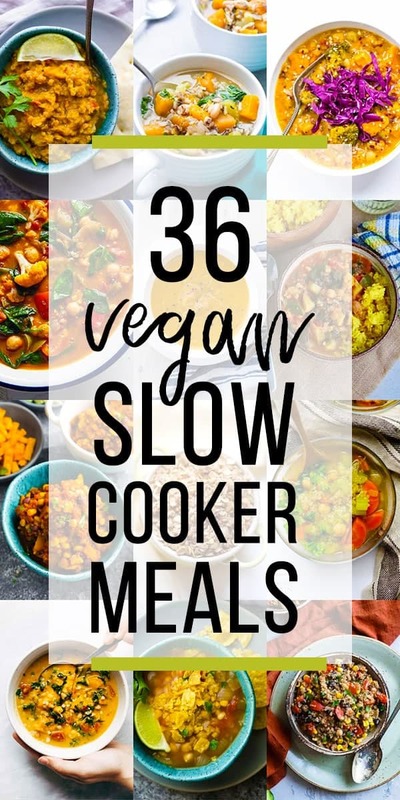 So today, after scouring the internet, we are sharing our picks for delicious vegan (or vegan-friendly) slow cooker recipes. 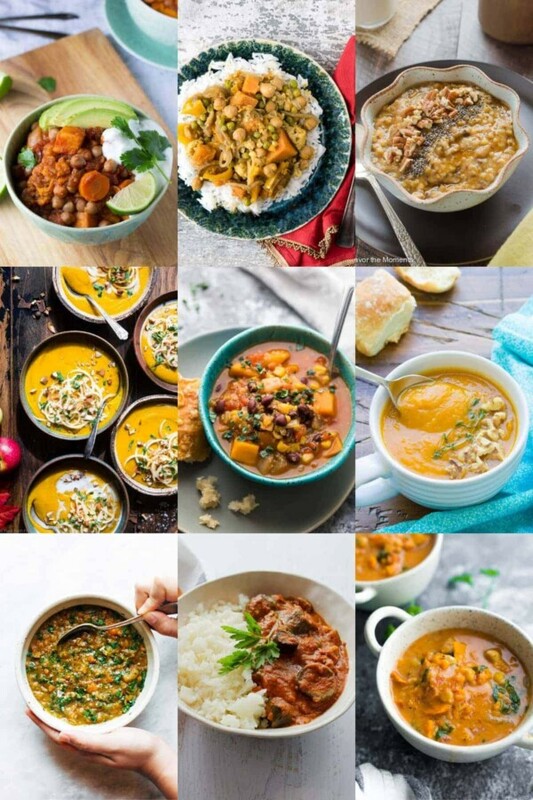 These vegan slow cooker recipes are delicious, hearty, and full of plant-based goodness. They are full of protein and are not going to leave you feeling hungry, that’s for sure! 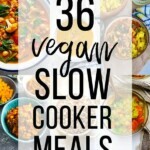 How can these vegan slow cooker recipes help you in the kitchen? The ease-factor! 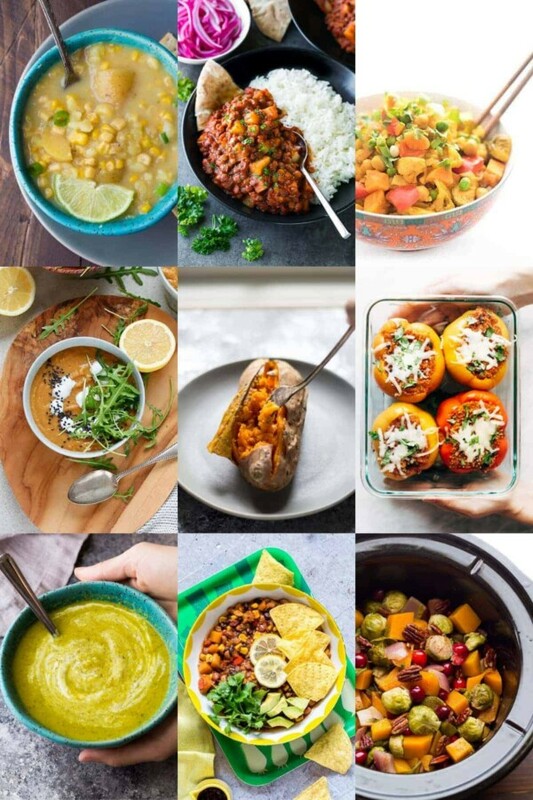 99% of vegan crockpot recipes from Sweet Peas & Saffron do not require any pre-cooking, meaning you can dump everything in the slow cooker, press start, and go about your day. Not only is the slow cooker great for easy meals, but it is my secret weapon when it comes to meal prep. cool vegan slow cooker leftovers, portion out with rice (when appropriate), and freeze in single serve portions. I recommend a good set of glass meal prep containers for this…see my favorite meal prep containers here! 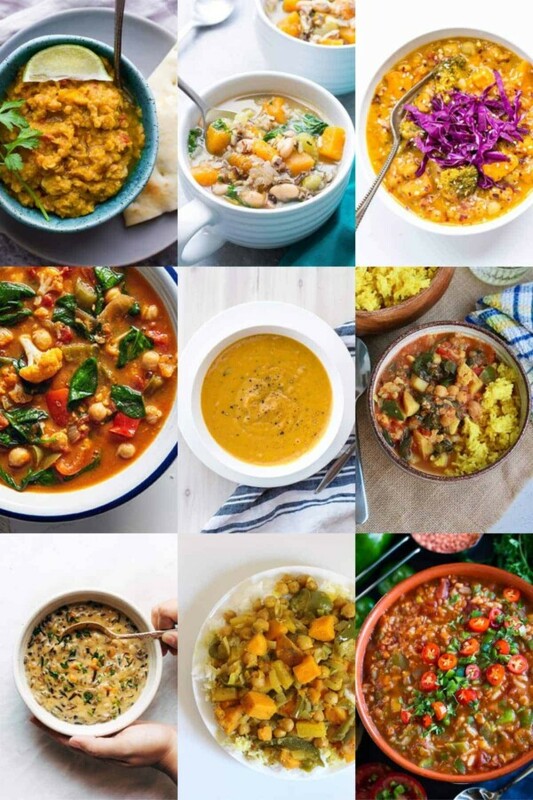 Enough rambling, let’s check out these amazing vegan slow cooker recipes!